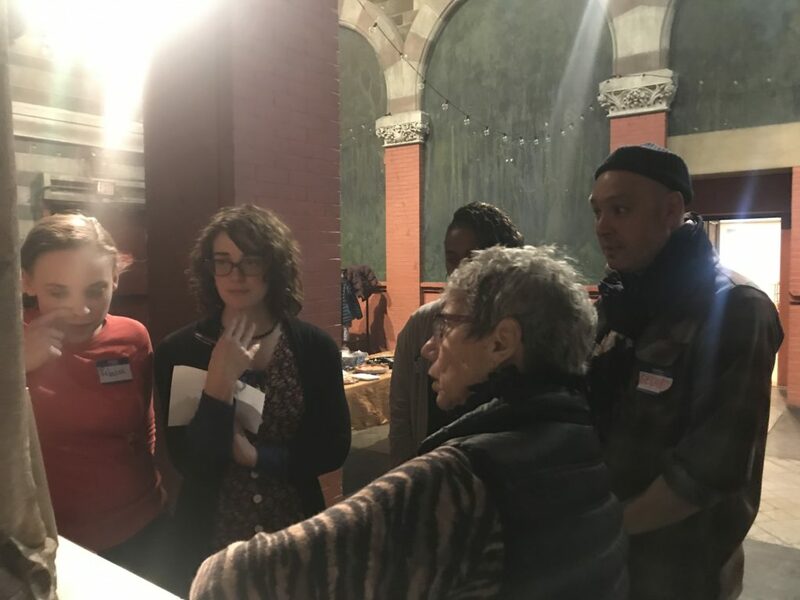 CALTA21 partnered with the Fleisher Art Memorial to expand upon our previous collaborations and training – this time incorporating a community-based organization called Sunrise of Philadelphia. Sunrise supports youth facing adversity by helping them to discover their strengths, experience success and prepare for their futures. 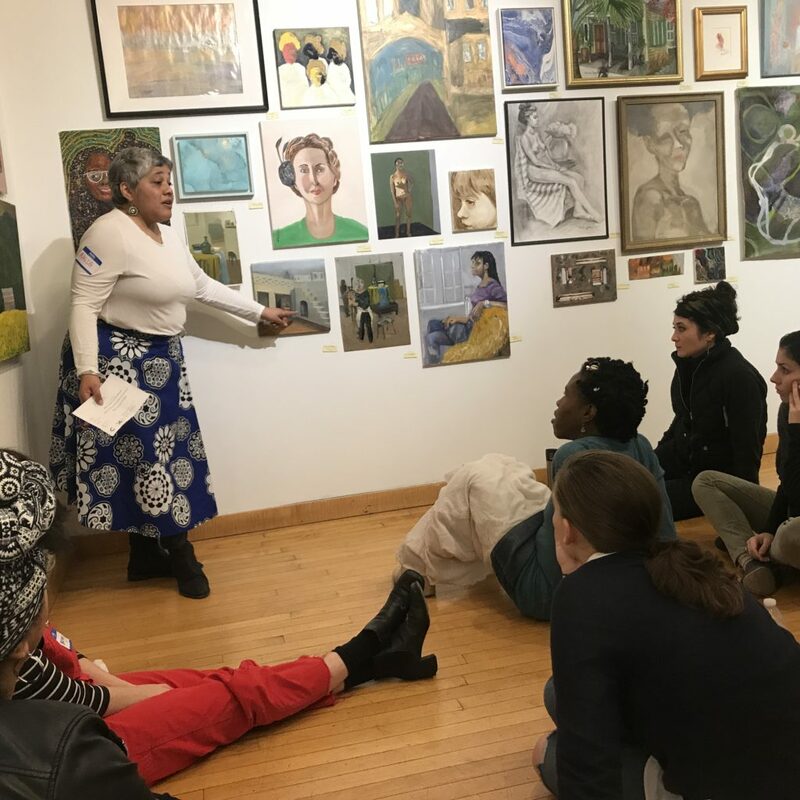 The workshops were hosted at both the Fleisher Art Memorial and the Philadelphia Museum of Art. 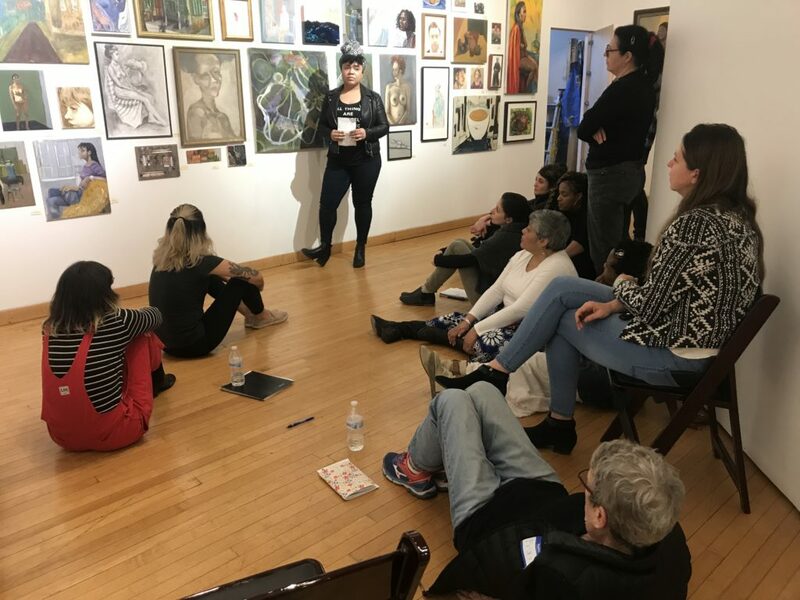 The role of art, the development of habits of mind for the 21st century in an informal learning environment, and strategies to develop family literacy to support Sunrise youth were at the core of all the workshops. 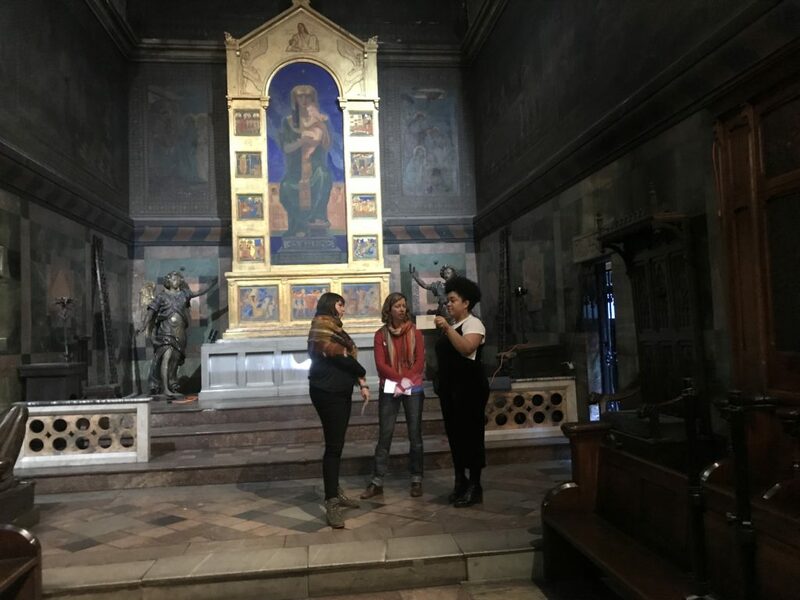 A special emphasis was placed on art-based activities that asked participants to learn more about each other and their organizations, exploring points of view, interests, goals and methodologies used. 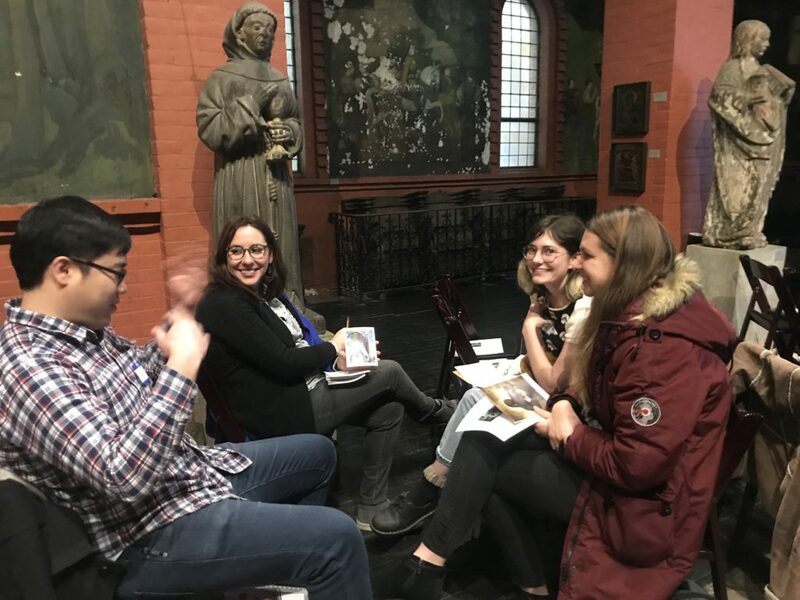 By recognizing similarities and differences, participants worked towards developing a relationship rooted in empathy and understanding of each organization. We reinforced community building by sharing desire to work towards a common goal, ultimately one that will benefit the Sunrise youth and their families. 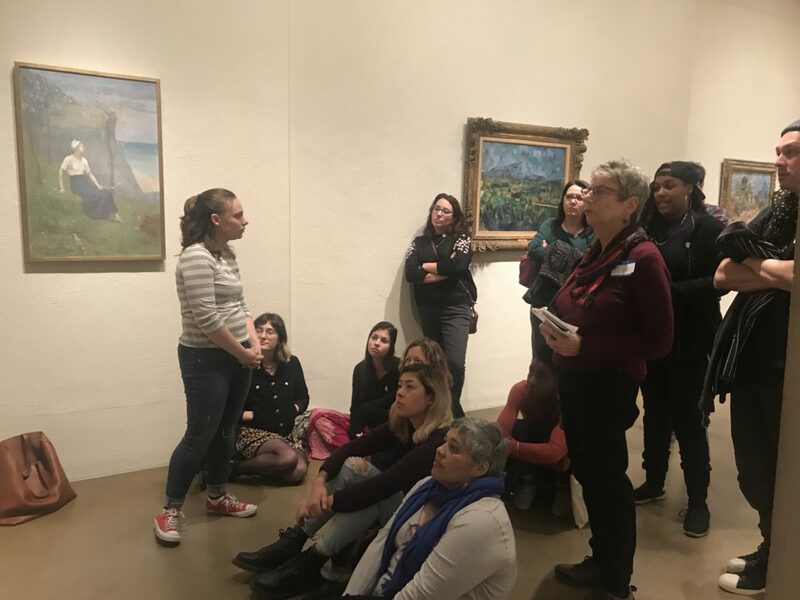 A Sunrise staff member facilitates a discussion in front of a work of art at the Philadelphia Museum of Art.